If you have been paying any attention at all to health trends in the past few years you’ve probably heard the hype about everyone being “too acidic” and needing to “alkalize.” Tony and Will both jumped on board the alkalize train when they first heard about it. They also both deboarded that train when they realized it wasn’t all it was cracked up to be. In fact, the main proponents of the alkalyzing movement are generally extremely off base and dead wrong about much of the scientific principles that they propose. They are also overly vague and completely ignorant of the actual dynamic nature that pH polarities play in the human body. Don’t get fooled into thinking that everyone is too acidic and needs to alkalize. Even if you are “too acidic” in a scientifically coherent way (metabolic acidosis) – even then, the way the pH gurus recommend you correct your pH balance is almost entirely wrong. 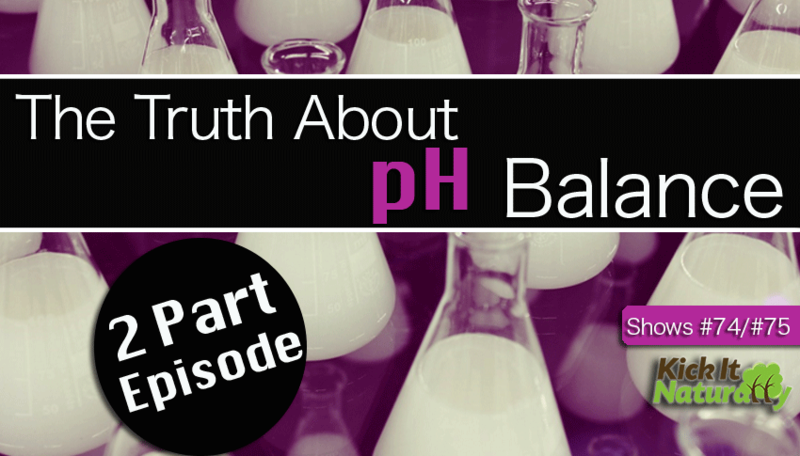 Listen in as Tony, Will and Kinna share their insights about how pH balance really works in the body and spare yourself the mistakes many have made when they start to work on pH balancing their bodies. Your body chemistry is not meant to be alkaline or acidic. You are meant to be an organized, dynamic system with varying pH levels in different fluid compartments and tissues of the body. These polarities are of essential importance to the function and survival of every cell and of the body as a whole. The body primarily regulates pH levels through proteins that buffer acids and bases. Alkaline minerals consumed in the diet play a small role in pH regulation relative to the buffering role played by proteins. If you drink alkaline water or take alkalizing supplements you neutralize stomach acid and decrease your digestive capacity. If you neutralize your stomach acid then you cannot digest dietary protein and you do not sterilize the food you eat as effectively as you would if you had normal stomach acid levels. There is a danger in your bloodstream drifting too acid or in it drifting too alkaline. If your blood is too alkaline then the blood cells will not release the oxygen they are carrying as efficiently to the body tissues as they would otherwise. Multiple systems in the body are responsible for maintaining blood pH values including the respiratory system and the kidneys. Metabolic factors – such as what kinds of fuel your cells are burning – have a major impact on the pH levels of the blood and tissues. It is possible to be too acidic in some ways while being too alkaline in other ways at the exact same time. This is true because there are multiple ways in which one can be either overly acidic or overly alkaline and, in reality, simultaneous imbalances in both directions to very commonly coincide. The various terms for the primary ways one can be too acidic are metabolic acidosis, respiratory acidosis and in a potassium excess acidosis. The various terms for the primary ways one can be too alkaline are metabolic alkalosis, respiratory alkalosis and in a potassium deficiency alkalosis. Urine and saliva pH testing are not the best way to determine if your blood is too acidic or too alkaline. Your breath rate is a much better assessment tool to determine if your blood is leaning too acidic or too alkaline. The more alkaline your bloodstream is the slower your breath rate becomes as your body tries to retain more carbon dioxide. The more acidic your bloodstream is the faster your breath rate will become as your lungs labor to off gas carbon dioxide quickly to keep carbon dioxide to oxygen levels balanced. You can learn more about assessing and correcting body chemistry imbalances that may lead to alkalosis or acidosis by taking our Digestive Issues Course.